Всего через несколько часов самолет перенесет нас в загадочную Прагу, это будет мое второе путешествие в этот прекрасный город. И пусть прогноз не сулит нам теплой погоды, я надеюсь, мы отлично проведем эти несколько дней! Скоро вернусь к вам с новыми впечатлениями и фотографиями, не скучайте! P.S. Не забывайте следить за мной в Instagram и twitter! I come to say bye-bye! After just a few hours the plane will take us to the mysterious Prague, this will be my second trip to this beautiful city. Weather forecast does not promise us warm weather, but I hope, we will very good spend these few days! 'll come back to you with new impressions and photos, don't be bored! P.S. Don't forget to check my Instagram and twitter! oh my! looking forward to your photos! btw, you should take a look on my new outfit post! 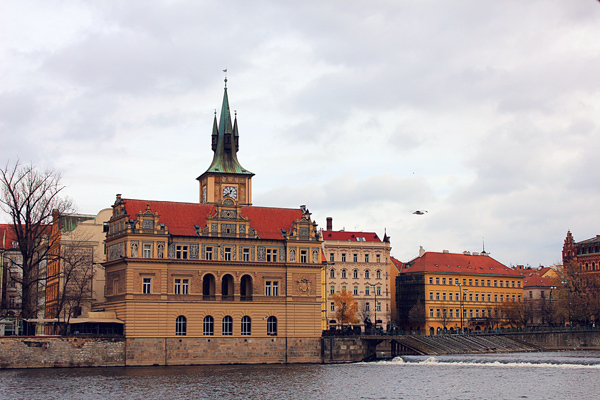 prague is beautiful, you will love it!!! To me, Prague is the most beautiful city on earth, my dream destination, Enjoy your trip sweety! just lovely... make sure you have a good time there! ooh, looking forward to seeing photos from beutiful Prague :) Have a nice trip! looking forward to your posts about Praque! Удачного путешествия, Прага красивейший город! hi, thanks for visit, I'm glad to follow you back! I've been to prague to it is such an amazing city! I hope you have a wonderful time! Hi I just discovered your blog and love it! so I'm following you!, good luck! I hope you get your projects! many kisses, I leave my blog in case you want to follow me! I've just come back from Prague. Amazing city! :) Have a nice trip! Que ciudad tan hermosa, ya me gustaría a mi conocerla. can't wait to see the photos!! :D enjoy your trip!! I hope you have a nice trip! !